We all know that Intel Core processors really made our computer amazingly fast and now the time is coming closer and closer to go make our computers processors speed much faster again as Intel is set to launch their Intel Sandy bridge processors in January. I personally attended the Intel event in my region in which they mentioned that amazingly fast Sandy Bridge Processors will be available in January 2011.But in some regions may be it could come before January. According to an image by Engadget from Malaysian electronics store Compuzone which has the full pricing and specs of the upcoming processors. 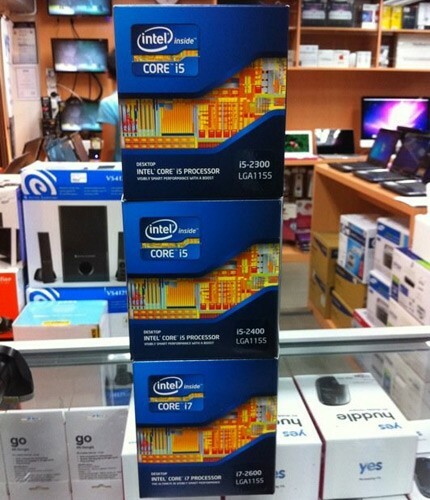 The 3.4GHz Core i7 part costs 939RM ($301), followed by 609RM ($195) for the 3.1GHz 2400, and 585RM ($188) for the 2.8GHz 2300. Means they have some stock but we are not sure it would be available for sure or not.